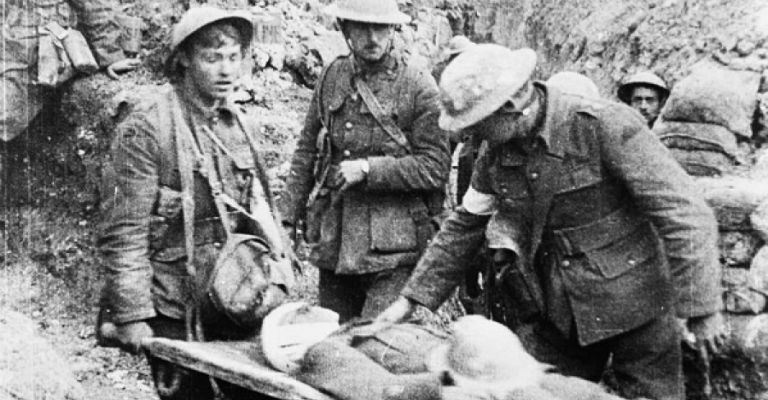 In 1916, at the height of the First World War, 20 million people flocked to see the silent film ‘The Battle of the Somme.’ For a bit of perspective, that was almost half the entire population of Britain at the time, and it remains one of the most watched in British cinema history – that’s even bigger than ‘Star Wars’! Now, to commemorate the 100th anniversary of the Battle of the Somme, the film has been given a digital remaster and an evocative new score by composer Laura Rossi, bringing the cinematic masterpiece to a whole new audience, and is being screened at The Witham, in partnership with The Bowes Museum, on Wednesday 5th July. At the time the film was made, audiences had become used to seeing newsreel as part of their cinema experience, but were mostly attracted to the theatres by comedies from Charlie Chaplin, serial adventures or the rising Hollywood blockbusters. ‘The Battle of the Somme’ bucked that trend. It pioneered documentary film, taking real life footage and turning it into a feature with mass appeal. Showing images of the first week of the ‘Big Push,’ where British and French armies endeavoured to break through German lines and achieve victory on the Western Front. This is a unique opportunity to see not only a piece of British cinematic history, but also to see the realities of life on the Somme as the centenary commemorations for World War I continue. For more information, visit The Witham website.